A day at the beach on Saturday resulted in millions of pics - this is one of the few good ones! 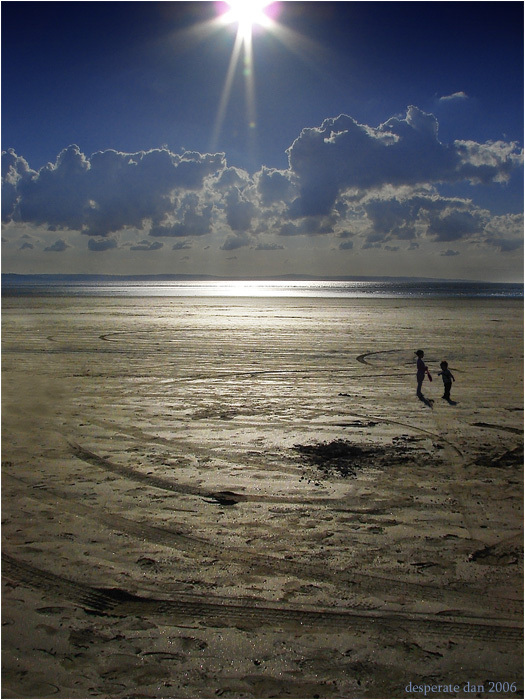 My son and daughter take the starring role..
Beautiful photograph! That should be on your wall. Wich focal length did you used for this shot ? 6mm (36mm equiv) which is the widest i can get with my fixed lens. I'm toying with getting a wcon for my sony which would take me down to 27mm, tho i'm not sure it's worth the money for a lens that will still not get me truly wide. Too bad about the tire tracks-for me, they're a bit of a distraction in the picture. Or both... or even a third option of re-doing the shot with conditions right - It's such a great shot that to shoot it again, looking out for the known "nasties", will be well worth it.